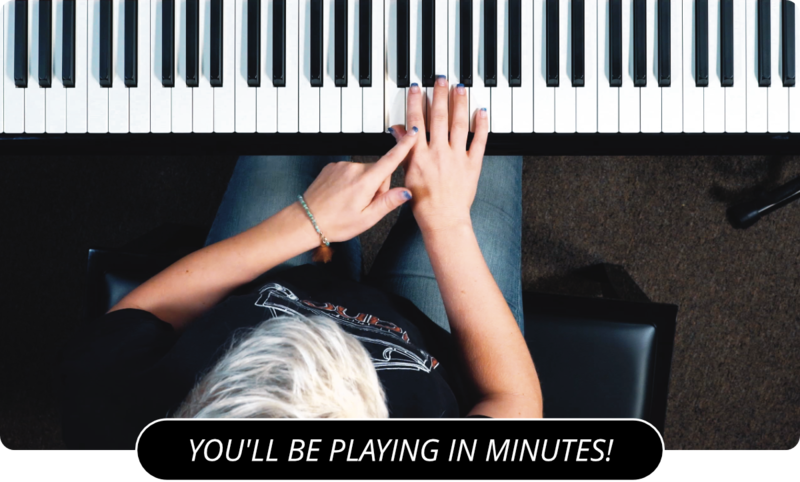 Learn How To Play Piano With Proper Hand Posture! If you play for any extended amount of time, having the proper hand posture not only insures that you are playing the instrument properly, but helps to reduce fatigue. The first thing to make sure of is that your wrists are level with the piano. If your wrists are to low, you will have more difficulty hitting the keys properly. If your wrists are to high then you won't have quite the control that you need, and may find yourself accidentally bumping the black keys. Make sure when you strike the keys that you push your fingers down straight and with even strength; don't flick at the keys. Now is also a good time to tell you how pianists number their fingers. You may hear an instructor tell you to hit a key with your first finger or your fifth finger and need to know which fingers those numbers refer to. The first finger is your thumb, and as you may be able to guess, the index finger is two, the middle finger is three, the ring finger is four, and the little finger is five. That's it for this lesson. Now that you know the proper way to sit at a piano and the proper way to use your hands, we can get back to actually playing music. When you have the posture down be sure to come back here for the next lesson! Next, we can discuss Proper Posture while sitting at the piano.